Click or scroll-down to see more. At Mandeville Physical Therapy & Wellness, Inc., we provide one-on-one care that is specific to each person's needs. Set apart from the congestion of Huntsville's medical district, our fully-equipped facility offers comprehensive therapy and a personable staff-- as well as convenient parking, an easy-to-access entrance, and minimal wait-times. 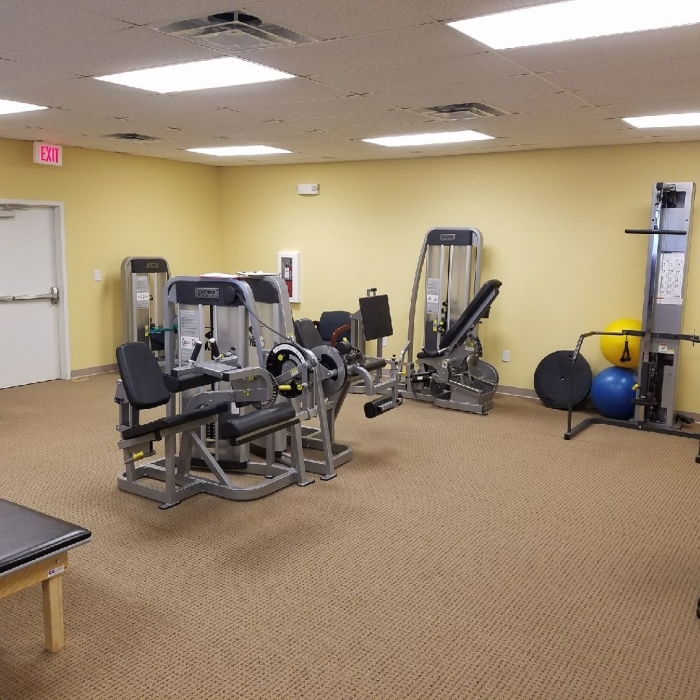 Within a few easy minutes of several rehabilitation and assisted living facilities (including Redstone Village and Magnolia Trace), our experienced orthopedic therapy and personalized care is an excellent choice for all residents of Huntsville and the surrounding areas who want to recover close to home. We are excited to announce that, as of April 1, 2019, we are open for business at our new location in Madison! We take pride in serving our patients with the best equipment, experience, and care, so we are especially proud that we can also do that from a location "closer to home" for our Madison patients. If you have suffered an injury or illness that affects your bones, joints, muscles, tendons, or ligaments, rehabilitation therapy with trained orthopedic specialists is a critical factor in recovering range of motion and mobility. Our team provides experienced care in addressing impairments or dysfunction in various bony and soft tissue structures of the body. 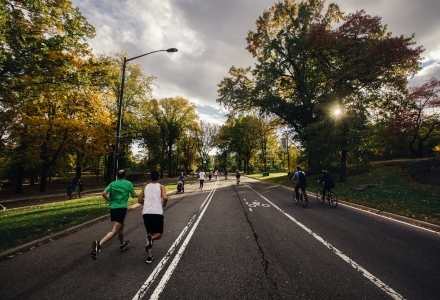 Physical therapy is not just about recovering mobility after sporting accidents and surgeries. Often, illness, age or physical trauma can lead to loss of balance-- a problem that jeopardizes the foundation of a healthy lifestyle. 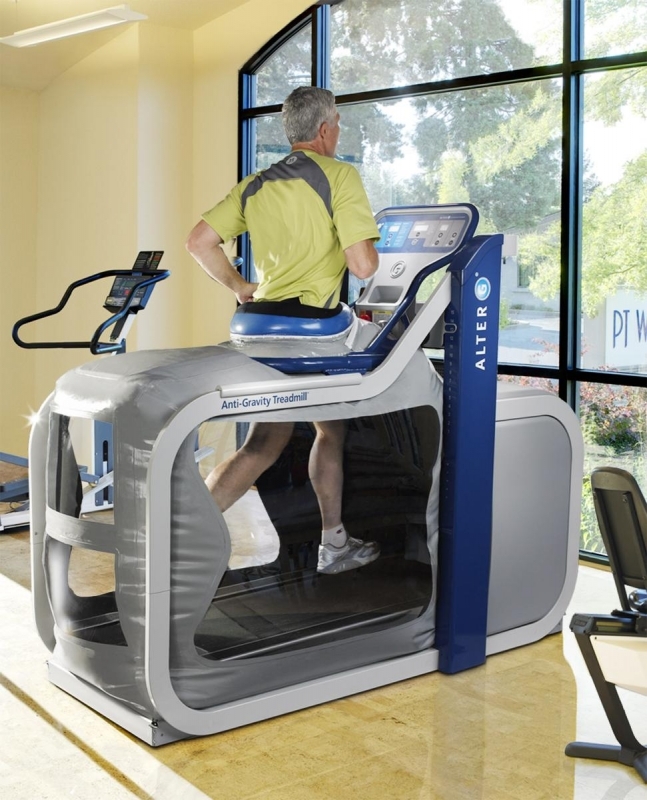 By allowing patients to run and walk without bearing their entire weight, the AlterG Anti-Gravity Treadmill reduces gravity's impact on the body to optimize rehabilitation and physical therapy outcomes. Factors like diet, exercise, and getting proper rest are all critical components of a successful recovery from illness and injury. On that same token, poor diet and lack of mobility are issues that may exacerbate existing problems and increase the amount of time for recovery. Whether due to illness, injury, or operation, we will work with to recover from issues of the spine, shoulder, elbow, wrist/hand, hip, knee, or foot/ankle. At Mandeville Physical Therapy & Wellness, Inc., we take a comprehensive approach to balance therapy. In your body, a variety of systems work together to maintain balance. When one of these systems is compromised, the ability to stand from sitting, to walk, or to climb can range from challenging to dangerous. Added to that, the inherent fear of falling that accompanies balance impairment can inhibit recovery efforts. 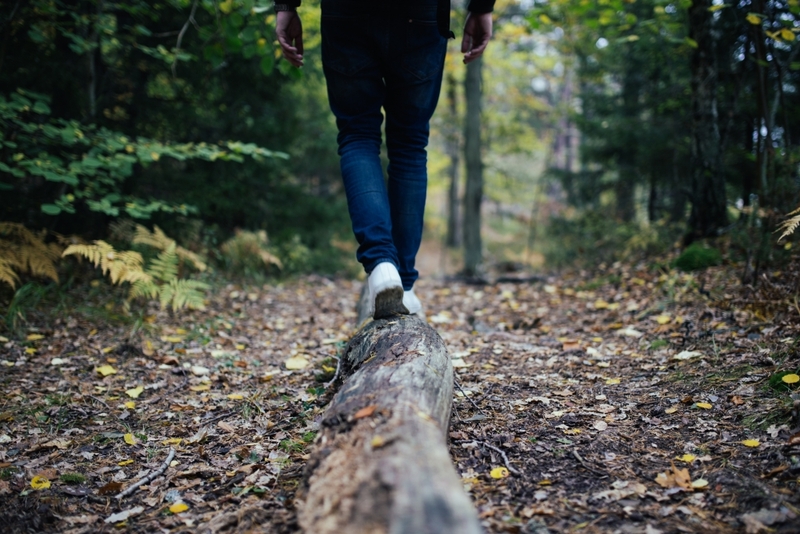 By creating a regimen of activities and exercises that systematically targets the different contributors to body balance, our patients experience improved, independent movement. The AlterG helps patients recover more quickly from injury and surgery and it allows them to immediately do partial weight bearing exercises. Patients with neurological disorders maintain, and in some cases even regain functionality and mobility working with the AlterG. By allowing the patient to exercise with less joint impact and stress and to improve their cardiovascular health, it is also a useful tool for weight-loss and conditioning of older adults. Its Differential Air Pressure (DAP) technology applies a lifting force to the body that reduces weight on the lower extremities and allows precise unweighting – up to 80% of a person’s body weight. This helps us to find exactly where the pain stops and natural movement feels good again so that you can gain or maintain mobility with less pain. We are the only physical therapy clinic in North Alabama to offer the AlterG. To learn more, contact us to discuss how it may be of benefit to you. We design a personalized exercise program to help patients safely perform activities with the least amount of pain. Whether on the Alter-G Zero-Gravity treadmill or through a variety of other methods, the aerobic exercise program we choose for each patient aids in elevating the body's metabolism and burning calories while improving cardiovascular fitness. 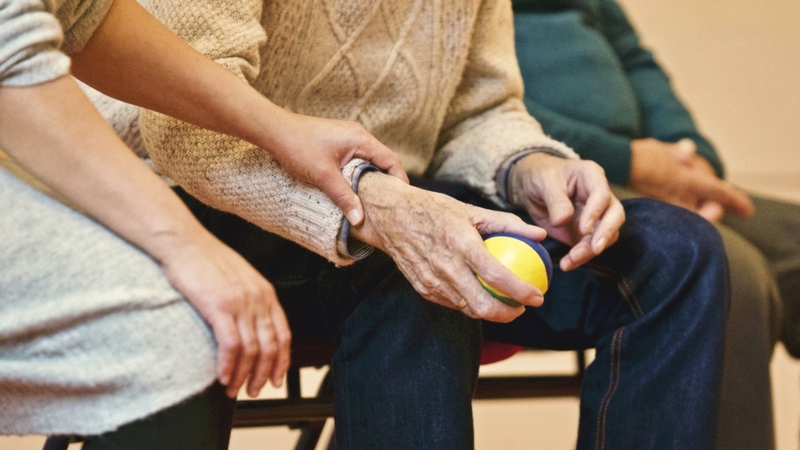 We focus on improving strength by addressing any muscle weakness patients may have through gentle, low-impact methods to help avoid joint stress. By choosing specific activities and treatments to restore movement of stiff joints, we work to improve movement, flexibility, and posture. Through treatment of prescribed exercises, our patients experience increased activity levels, and, if continued, sets them on the path for overall wellness. Post-PT Care: Not only do we wrap up a patient's physical therapy by equipping them with personalized exercises to maintain and improve their recovery, we extend the ability to use our equipment. With an appointment and small monthly fee, we will continue working with patients even after their official physical therapy is complete. Facebook: Follow us on Facebook to see information addressing common issues about which our patients frequently inquire. Nutrition Supplements: Simply being overweight can be the cause of numerous issues, such as osteoarthritis and joint damage, disc herniation, Carpal Tunnel Syndrome, and the overall lack of energy that perpetuates existing problems. For those who may need some supplemental support in their efforts to shed extra pounds, gain healthy muscle mass, increase their energy, clear up digestive issues, and so much more, it can be helpful to reach out to a specialist in nutrition supplements to help you get started. Our physical therapists and caring staff are proud to offer hands-on, personalized orthopedic rehabilitation therapy for people of all ages and situations. Getting to know our patients is more than just something we enjoy-- our dedicated team takes the time to understand your condition and to create a plan that works for you. Matt has lived in Huntsville for over thirty years. After graduating from Grissom High School in 1989, he received his bachelor’s degree from Auburn University in Exercise Physiology in 1993. Matt relocated to Mobile, Alabama, to pursue his physical therapy degree, which he received in 1998. Upon graduation from physical therapy school, Matt relocated back to the Huntsville/Madison area where he was raised since 1980. Matt is married with four wonderful children. Michelle's entrance into the career of Physical Therapy came from a combination of her love of science and communication and her joy for helping people. Prior to joining the team at Mandeville Physical Therapy & Wellness, Inc. in 2013, Michelle pursued an education in several fields at Wallace State, the University of Central Florida, and the University of Alabama in Huntsville, beginning with degrees in English and Biology. After achieving Physical Therapy Assistant degree, she became a licensed and board certified physical therapy assistant (LPTA). Matt started his career as a physical therapist working in a small private clinic, followed by a successful period at Huntsville's largest hospital. His most recent position was as the director of physical therapy at Huntsville’s largest orthopaedic group. 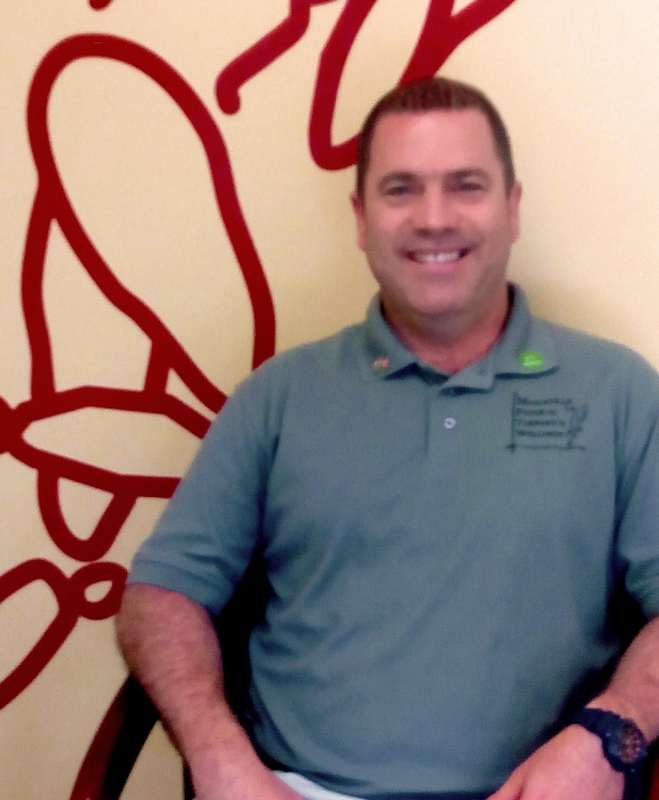 After seven wonderful years in this position (and opening five physical therapy clinics for his employer), Matt decided that it was time to follow his dream of owning and operating his own physical therapy practice. 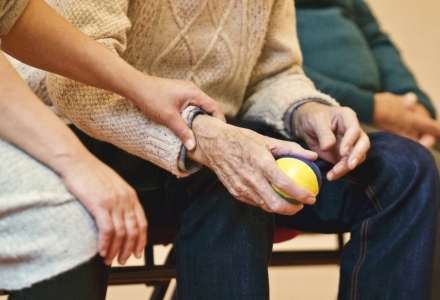 Having missed the intimacy of working in a smaller physical therapy facility, where the clinicians and staff can really get to know each and every patient being treated, the goal was to keep the practice small and conveniently located. Due to growing up in southeast Huntsville, Matt was excited to open his practice in his own “backyard”. Matt enjoys spending time with his family, traveling and watching football. Matt loves helping people with physical therapy and his greatest joy is to see his patients improve and flourish! Working in this field turned her interest to the biomechanics of individuals with various disorders, which she took with her to study and obtain her Master's degree in Biology, using biotechnology to test for muscular variances and progressions throughout a person's rehabilitation. 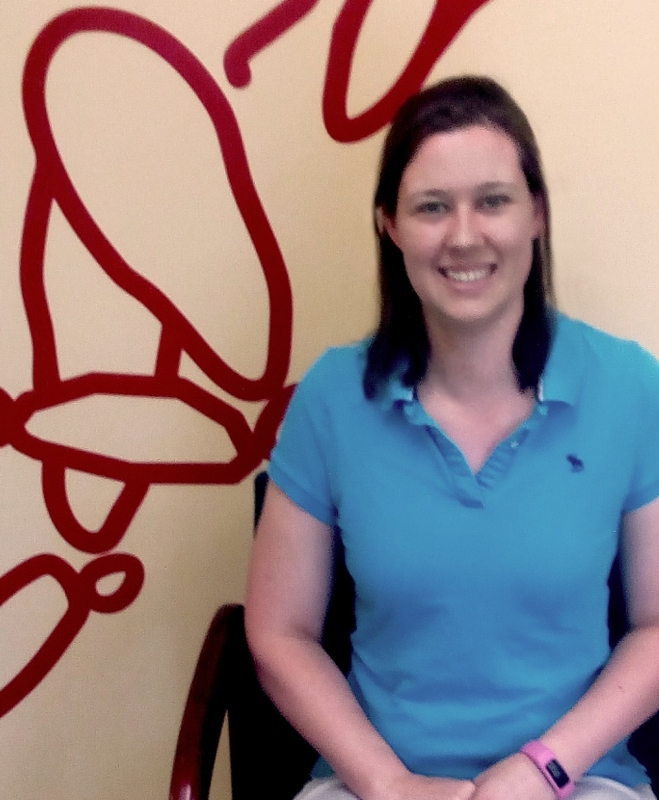 Michelle's education and experiences in physical therapy have served as a catalyst to pursue courses toward a PhD, whereby she is actively conducting research in biomechanics and kinesiology. She has enjoyed teaching for several semesters at the University of Alabama in Huntsville and mentoring students as a clinical instructor within the clinic so that she may share her knowledge and help advise pre-physical therapy students. Michelle's free time is committed to her daughter and her husband, during which they enjoy traveling, running, bicycling, mountain climbing, and participating in their daughter's dance activities. Different from a 'one size fits all' approach with set programs... can tailor each session to the needs of the patient with personalized care. 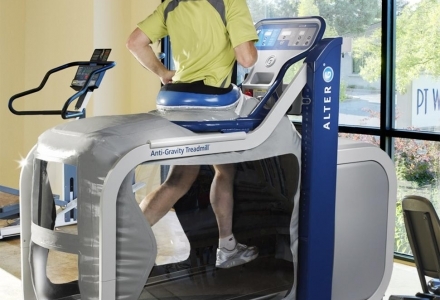 Alter-G treadmill is great to get patients walking to assess their posture. gait, etc. Coming off my second knee surgery, I was looking for a place with people that would not only help my knee heal properly, but would also with with me one by one... everyone was very friendly in every way possible... If my knee was feeling too strained, they would understand... would work my knee in ways I never thought it could move. I loved being there so much that even after my PT ended, I continue to go just for exercise and to see all the friendly, familiar faces that I got to know so well. I appreciate the short drive, the... close parking, but mostly the hospitality, professionalism, and atmosphere. The equipment always looks brand new, and the place is spotless... might want to check it out before starting the long drive north. We accept most insurances EXCEPT MEDICAID. Please feel free to reach out to us so that we can verify your insurance's physical therapy benefits and ensure that we are participating providers. Thank you for choosing Mandeville Physical Therapy and Wellness, Inc.! We look forward to working with you to recover mobility and independence. Once you have scheduled your appointment with us, you can print and fill out the New Patient Packet to bring with you. If you can't do that, then don't worry! Just be sure to show up 15-20 minutes before your appointment to fill out the paperwork in our office. Also, please bring a complete list of prescribed medications along with the dosage of each medication. Every now and then, we have to update our paperwork to ensure we have the most current information for our existing patients or offer new information to our patients about our office policies. If you are a returning patient who has not seen us in 6 months or more (or if you don't recall signing any of the following forms), please feel free to print and bring the following forms with you. Otherwise, please show up a few minutes before your next appointment to complete the forms in our office. Also, please remember to bring a complete list of prescribed medications along with the dosage of each medication. We now have two locations to best serve our patients! 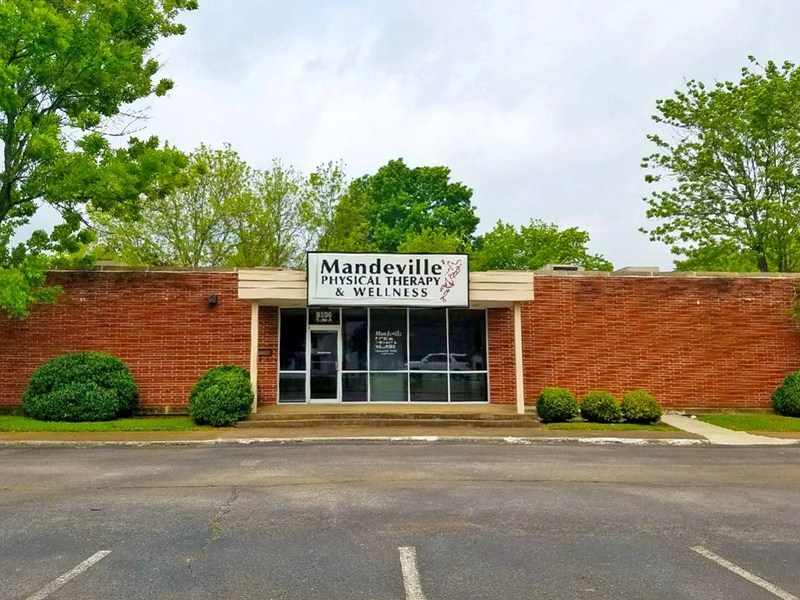 In Huntsville, our office is located on Whitesburg Drive South, next to AIM Dance Academy and across from Steak-Out and Lily Flagg Station Apartments. In addition to the convenience of being one street away from Highway 231/Memorial Parkway, our facility provides ample front-door parking and an easy-to-access entrance. In Madison, we are located on County Line Road. If you see the parking lot for SUBWAY, you will see our office. It is our pleasure to be a part of and to be of service to the Huntsville and Madison communities. Please contact us for more information about our services or to schedule an appointment. Copyright © 2011-2019 — Mandeville Physical Therapy & Wellness, Inc.